At Hood's Gardens we are always open to talking with interested individuals who would like to be a part of the Green Industry. A fast paced, season changing environment allows for you to experience all of the seasons of growing we participate in. We are also offering a Spring Internship program for students who are in a horticulture or related field of study. 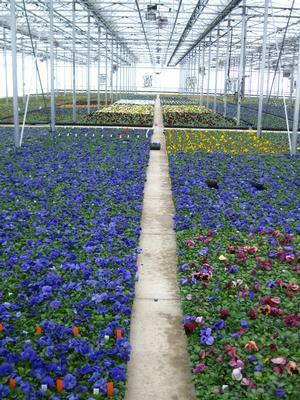 The offer is to gain experience in growing annual flowers as a part of a wholesale greenhouse operation. Please utilize this link for more information on what the internship will entail. Always seeking qualified labor workers. Tasks involve filling soil in productions containers, planting, moving and hanging product and then pulling orders for shipping of product in season. Different type of work which is fast paced and always changing with seasons in the greenhouse. Interested applicants please call or come in. Information on Hood's Gardens Spring Internship.